A new CEO has taken charge of Ikea France, promising to bring the famous Swedish brand more “up to date” for young, French consumers. Walter Kadnar, who is originally from Austria, will take over the blue and yellow brand from 1 September, in a move that has been hailed a “little revolution” by French newspaper Le Monde. 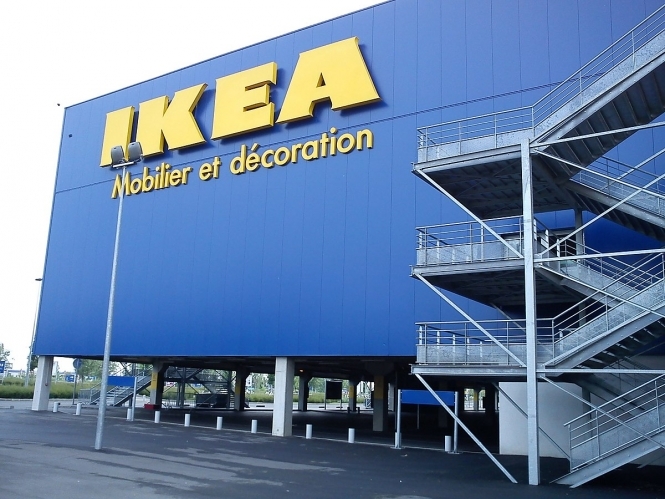 New Ikea stores are set to open in Nice and Vénissieux by 2019, and they will be first in the country to not take on the usual "blue box" appearance of previous shops - hailed a first step in the "modernisation" plan. Instead of the usual blue metal walls, the Nice store will be "wrapped" in blue glass, created by Jean-Michel Wilmotte, the same architect who revamped the Louvre Carousel in Paris in 2016. As for the Vénissieux store (transferred from the current Saint-Priest branch), it will have a transparent glass facade featuring the iconic blue and yellow logo. This new aesthetic has been seen as a sign that the brand will take a new, younger direction in the country, with the official announcement of Kadnar’s appointment simply reading - rather mysteriously - that he will “look to continue the development of Ikea in France”. Kadnar takes over from predecessor Olivier Baraille, who left the role after just 18 months, citing “personal reasons” for the move, although rumours abound that his allegedly laissez-faire style of management was not as productive as some hoped - despite his reported popularity among staff. France is Ikea’s third largest market worldwide, with the country last year worth €2,63 billion to the brand, having grown by 9,2% in 2016 compared to 2015. There are 33 shops across France, with the company employing over 10 000 people across the country.